An innovation lab is one of the trendiest means to improving corporate ingenuity. Companies look to innovation labs to jump-start new product development and take the leap into the digital era. Having designed several Innovation Labs for our clients, we want to provide you with a deeper study into what they are, what makes them succeed, and how to design them for greater success. What do you think of when you hear “innovation lab?” You may have in mind something closer to the original innovation lab, which was the Skunk Works at Lockheed Martin started decades ago. That holds a nugget of the current reality, but not the full picture. Innovation Labs have shifted beyond the traditional, insular R&D role of the past, especially in these two ways: First, innovation labs concentrate their energies on potential new business models made possible by today’s disruptive technologies. Second, innovation labs are organized beyond company employees, actively engaging with outside experts. Successful innovation labs are more than just for show. The best innovation labs help solve one or more essential business goals. Some of these urgent goals would not have been on the radar just a few years ago. Faster development of new products and/or explore new business models that solve core client needs and drive company revenue. Shift the company culture towards greater innovation, tech integration, and collaboration both internally and with outside groups. Enable change from their existing strategy to a new business strategy (more customer-centric, digital transformation, design thinking, etc.). Stave off the threat of digital disruption from competitors, especially start-ups. Demonstrate products and capabilities to current clients, potential clients, and business partners. Foster partnerships with outside companies, startups, and leading academic organizations. Explore the potential of new technologies independent of current product development, to solve client problems in new ways. Be a working lab to collaborate with clients to solve their specific challenges. Be a stage for presentations and videos, in the age of YouTube and Instagram. Open a collaborative space closer to industry innovators and tech centers. Collaborate with customers to co-create and get feedback about new products. Appeal to, recruit, and retain digitally-skilled new talent. Create multiple innovation centers focused on different client vertical markets, geographic regions, or high-potential new technologies. For more ideas, read more about the goals and outcomes of 75 innovation labs built by organizations. Continually Manage Stakeholders To Ensure Successful Innovation Actually Gets Used: When an innovation lab develops a breakthrough new product or business model, there will likely be resistance to folding that new product back into the core business units or starting a new standalone division. Strong communication and buy-in from key stakeholders within the company will grease the wheels and help new innovations take root. This has been the experience of Tendayi Viki, Managing Partner, Benneli Jacobs, as described in Forbes, and Scott Kirsner, editor, and co-founder of Innovation Leader, as interviewed in Forbes. Ambidextrous Organizations Are More Successful: Most corporations focus their innovation lab on either incremental innovations that match their current business model or breakthrough innovations that disrupt their current business model. Ambidextrous organizations focus on both. These ambidextrous organizations are much more successful than companies that focus on only incremental or only breakthrough innovation. That’s the finding of Charles A. O’Reilly III and Michal L. Tushman, professors and consultants on innovation, as published in the Harvard Business Review. New Products Versus New Business Models: One of the first questions to answer when launching an innovation lab is are you wanting to develop new products or generate new business models? When your goal is new product development, your innovation lab is usually designed around creating better collaboration that solves client problems using internal teams and business units. If your focus is on exploring how new technologies lead to disruptive business models, your innovation lab will require a far greater integration of technology in its design, and may need to be located closer to outside collaborators such as start-up tech talent or universities. Innovation Lab Design Elements: If you’ve seen pictures of innovation labs, you know they tend to look a lot cooler than your usual corporate space. But that doesn’t mean there isn’t a functional driver behind that look. We love designing these kinds of projects, as they allow us to leverage our deep skills creating spaces that visually embody a unique corporate culture and brand, plus facilitate better interactions between teammates, partners, and visitors. The Inmar Innovation Lab in Winston-Salem, North Carolina was created as a setting to foster collaborate discussions to solve clients’ challenges in technology, industry, and business. The lab was a key reason Inmar was named a 2016 finalist for the Innovation Workplace Award by the North Carolina Technology Association. Holt Environments designed this dynamic setting with a multi-touch wall, demonstration stations, other interactive tech, and environmental graphics. “Clients leave our Lab having engaged in dialogue on the future of the industry and with a tangible understanding that Inmar is an innovative ally for the journey,” says Inmar Chairman and CEO David Mounts. Read more about the Inmar Innovation Lab here. 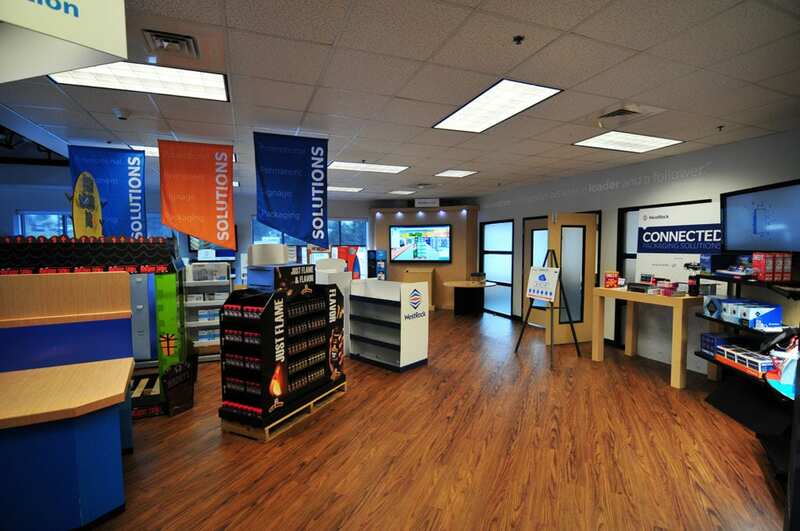 The RockTenn Retail Innovation Lab in Winston-Salem, North Carolina hosts meetings with current and potential clients to hold brainstorming sessions for the creation of new POP fixtures. This shared workspace provides inspiration with a broad mix of examples to spark discussions about possible designs. See more about the RockTenn Innovation Lab here. This multi-objective design allowed Desoutter to pay for their innovation lab in under 6 months. 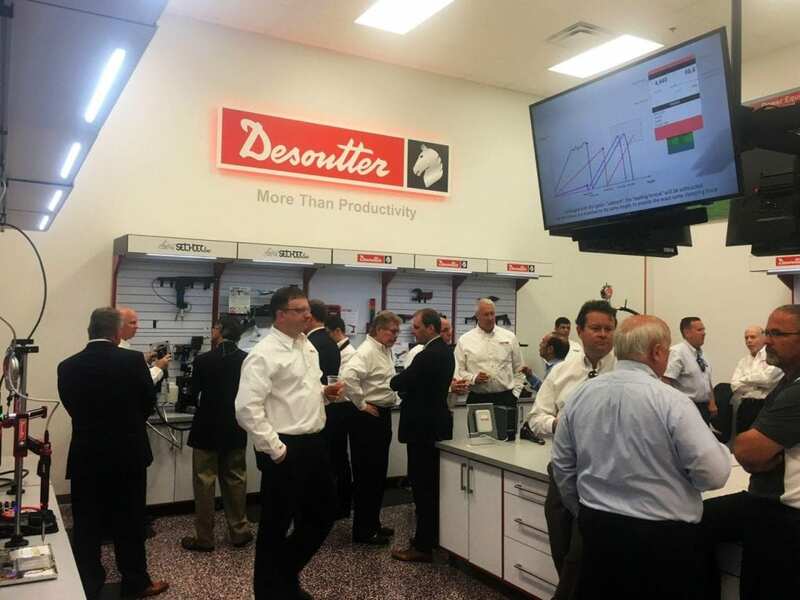 Read more about the Desoutter Smart Factory Lab here. Innovation labs are a key stepping stone to help enterprises rapidly adapt to the disruptive potential of new technologies and collaborative business models. Innovation labs come in many flavors depending on a company’s specific business goals and their level of collaboration with outside partners. To discuss the development of an innovation lab for your business, contact Holt today.